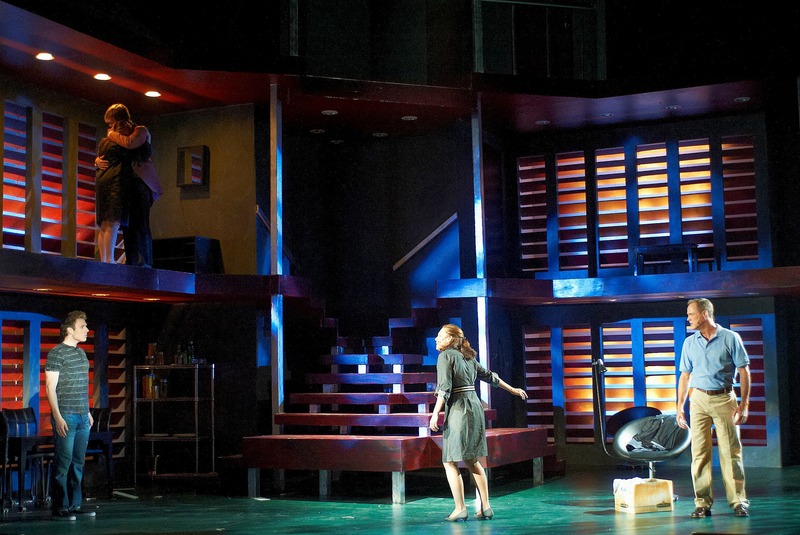 Last year, ‘Next to Normal’ was only the 8th musical ever to win the Pulitzer Prize for drama. Now Uptown Players is presenting the local premiere — the musical has its faults, but this is a powerhouse production, almost a mini-opera in its intensity. The Dallas stage company, the Uptown Players, is presenting the musical Next to Normal – in one of the show’s first productions after its Broadway run. 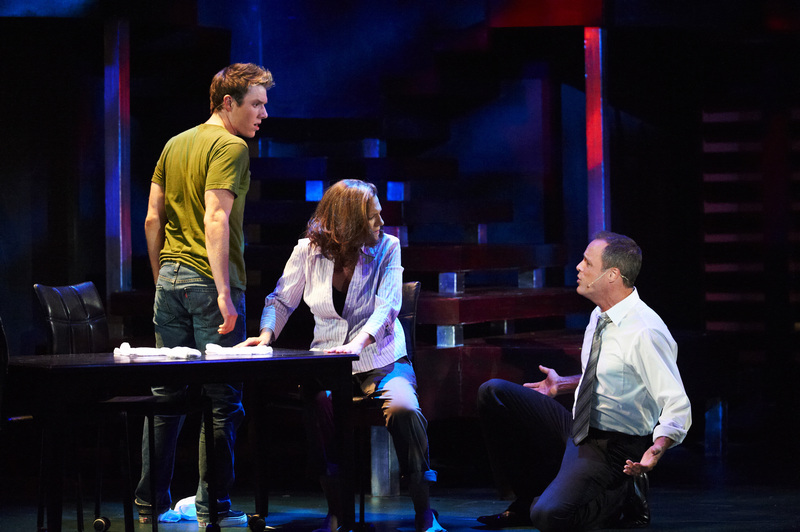 In his review, KERA’s Jerome Weeks says Next to Normal is next to great. Billy Elliot is a big, bold, splashy, physical, crowd-pleaser about a boy who wants to dance. Next to Normal is small, internal and intense. And it must be the only hit musical about treating a psychological disorder. Well, that’s the kind of medical-social issue Pulitzer juries love, even though the words “serotonin re-uptake inhibitor” may not lend themselves to a big production number. But there’s something to be said for this latest risky foray by a Broadway musical into adult turmoil. It joins the likes of such non-fluffy, non-spangly subjects as race (The Scottsboro Boys), early American politics (Bloody Bloody Andrew Jackson) and youthful angst and anger (American Idiot). Diana Goodman is a suburban, middle-aged, manic-depressive mom. It’s bad enough her illness has resisted the standard regimens of psychopharmaceuticals; she also suffers from delusions. Years of dealing with her moods and confusions have rendered her family almost as fragile and fragmented as she is. All of this makes Next to Normal sound like a made-for-TV drama, one of those dreary, uplifting ‘Disease of the Week’ things. Admittedly, that kind of feeling-the-pain earnestness is here, too — there’s a song called “I Miss the Mountains” — but Next to Normal is more ambivalent, more shifting and balanced than that. It doesn’t go for easy resolutions. Diana’s husband, for instance, is not abusive or cold or philandering. He’s the one who’s held his family and wife together. 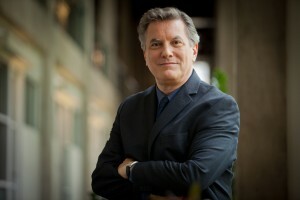 This is Gary Lynn Floyd in the Uptown Players production. Composer Tom Kitt and lyricist Brian Yorkey often create the kind of stretched-taut, power-pop ballads people love to hear belted out by showboating singers on American Idol. Fortunately, the creative team’s other musical model is Stephen Sondheim. Very much like Sondheim, Kitt and Yorkey weave their songs together without a break and and weave them like conversations into the dramatic scenes (although Yorkey’s lyrics don’t have any of the lapidary brilliance of Sondheim’s — again, his are more conversational). Next to Normal also has very little dancing or even dialogue. Consequently, the show has much of the concentrated emotional force of a mini-opera. It’s a relentless surge, a total immersion in the characters’ aching lives. The Uptown Next to Normal is powerfully, powerfully sung. Skillfully directed by Michael Serrecchia, the Uptown production is a small, polished juggernaut. Having given The Drowsy Chaperone a charming staging at Theatre 3, Serrecchia clearly is on a roll. Patty Breckenridge may actually be too forceful as the mother. This is a woman with a wounded psyche, who undergoes electro-convulsive therapy (a.k.a. electroshock). At times, Breckenridge can seem more driven and raw than wounded. That’s my only reservation, though, about what — thanks, in part to musical director Scott Eckert — is an impressively strong cast of singers, perhaps the strongest of any North Texas musical production I’ve heard. Set designer Andy Redmon may have given the Kalita Humprheys Theater its first three-story set. It’s an imposingly modern, domestic interior with stairs and louvers and Jason Foster’s dramatically stark lighting — which suggests a darkly sterile medical office. The entire space feels layered and segmented like those old divided maps of the psyche: id, ego, superego. The fact that only the son sings from the attic should tell you something. Ironically, in Dallas, Next to Normal is repeating its Broadway face-off with Billy Elliot — only now it’s the deserving local production vs. the undeniably entertaining bulldozer of a commercial tour. It was something of a coup for Uptown Players to get the right to premiere Next to Normal here when the limited national tour wasn’t going to come to North Texas at all. It’s also a coup for them to have staged it this well. Whatever happened to “boy-meets-girl” as a plotline for a musical or play? How sad. You’ve clearly never seen this show.